- Accepts all travel documents conforming to intermational standard sizes from ID-a sized contact & contactless cards to ID-3 sized electronic passports. 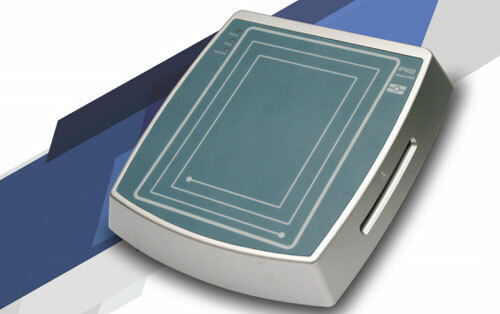 - Easy placement of e-passport on the reader and is easily supports the e-passport in an open book condition. - Supports transparent commands for both contact and contact;ess chips. - Optional Software Development Kit (SDK) is available for the convenient of software development.